Motor vehicle accidents lead to more personal injury cases nationwide than any other type of incident, with many car accidents causing serious, life-altering injuries. The fallout may not only affect the victim, but also the victim’s family whose lives must change to care for and accommodate an injured loved one. 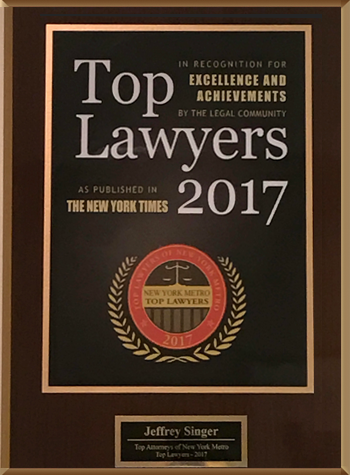 At the New York City personal injury law firm of Segan, Nemerov & Singer, PC, we understand the laws that protect negligently injured parties in car accident cases and fight tooth and nail to earn them the compensation they deserve. Neck injuries, from mild cases of whiplash and neck strain to major disc injury and cervical radiculopathy. Whiplash is especially common in rear-end collisions. Head and brain injuries, ranging from mild concussions to traumatic brain injury (TBI). Even when the victim exhibits no physical sign of trauma, the brain is at risk of jostling inside the skull because of the impact of a car crash, so bruising and other injuries can result. Back injuries, such as fractures, strains, thoracic spinal damages and disc injuries. Emotional and psychological injuries, including post-traumatic stress disorder and other forms of mental distress. Remember, any major or minor injury can be exacerbated if you fail to take the proper steps following the accident to care for it. Always know what to do if you have been involved in a car accident. How can a car accident injury attorney help? New York is a no-fault accident insurance state, which means the insurance companies representing those involved in an accident compensate parties regardless of whether liability is proven in court. But sometimes the damages received through a no-fault insurance settlement cannot cover the financial damages resulting from a driving accident. 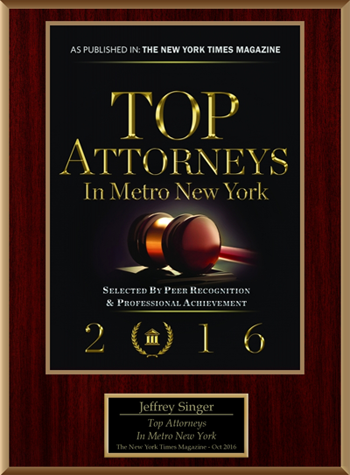 At Segan, Nemerov & Singer, PC, our New York City personal injury attorneys have over fifty years of experienced helping people just like you recover their rightful compensation following a serious car accident. Contact us either online or at (212) 696-9100 to arrange a free consultation, and let us begin fighting for you today.